I was reminded of this way to make tuna and it's so good. My husband used to work at 260 Madison in New York. Seems every building in NYC has its own deli....I don't think anyone ever knows the name of their deli, but they sure do know what to order. This was a favorite especially in the summer and it's appropriately named California Tuna. Mix together and spread on your favorite bread. 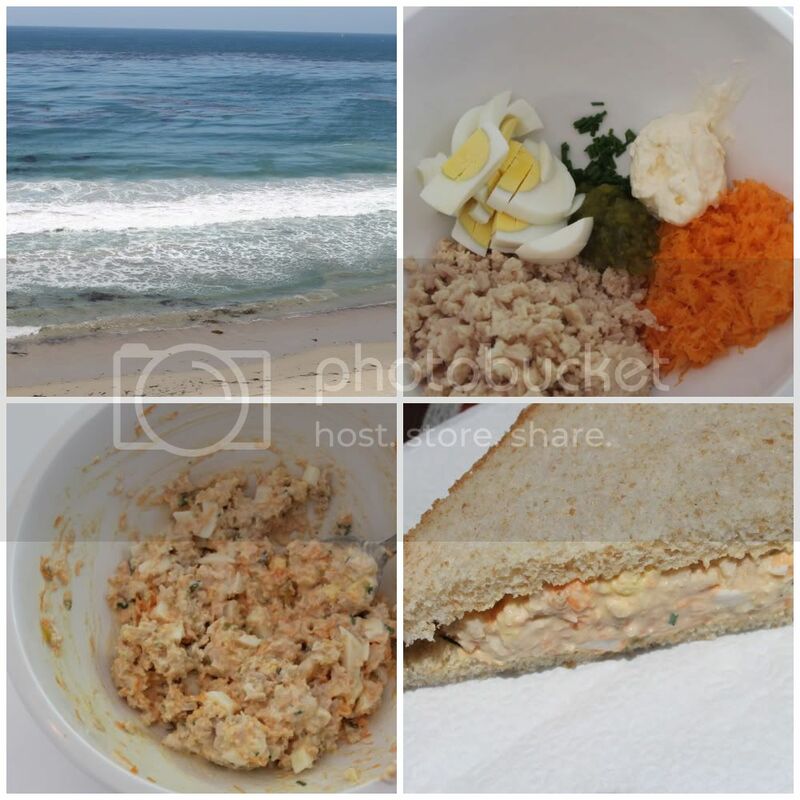 We started our holiday weekend a little early and walked down to the bluff to watch the waves as we ate our CA Tuna sandwiches. Have a wonderful weekend! Yummy, yummy, yummy! I cannot wait make this tomorrow. Won't have that view though! Love all of your recipes this week! Yum! Enjoy your holiday weekend. How positively wonderful this all looks and we are sure that it must taste delicious. Perfect for a picnic! I'm not a tuna fan... but I do have my own fave deli too, it's a big of an essential! Oh my gosh, my husband will be so excited when I make this. He loves tuna and this looks delish!! Thank yo for your very nice comment!